Bed bugs remain a problematic pest across the United States. In fact, one out of five Americans has had a bed bug infestation in their home or knows someone who has encountered bed bugs. Reflecting the increasing problem with bed bugs, a survey of pest management professionals found that prior to 2000 only 25 percent had encountered bed bug infestations, but in 2013 an amazing 99.6 percent of U.S. based professional pest management companies encountered bed bug infestations. Bed bugs are found in places, such as hospitals, schools, doctors’ offices, public transportation, college dorms, day cares, offices and any other places where humans live or gather.Here in Spain, as in the rest of Europe, bedbugs are making a comeback and are accounting for more and more of our callouts. Is it bed bug season? Bed bugs are active in summer and winter and are not considered “seasonal” in the same sense that mosquitoes, ticks and stinging insects are. Still, many consider bed bugs to be a greater problem in the warmer months, however it is not the bed bugs that are more active in the summer months – the humans are. In warmer weather we typically travel more, often sleeping in hotels and motels, using various modes of transportation, and thereby increasing our risk of exposure to bed bugs. 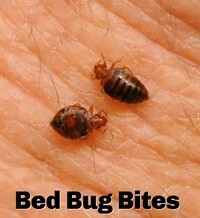 The bed bugs themselves are year-round pests. Bed bugs feed on blood like mosquitoes and ticks. Can bed bugs also transmit diseases like malaria, West Nile or Lyme disease? Becoming a victim of a bed bug infestation is certainly devastating, but the public can rest easy knowing that these pests are not known to transmit any diseases. While it is true that some pathogens have been detected in and on bed bugs including hepatitis B, and exotic organisms such as Trypanosoma cruzi (cause of Chagas Disease, rarely found in the United States or Europe) or Wolbachia species, unlike mosquitoes and ticks, bed bugs have not been associated with disease transmission. If bed bugs don’t transmit disease, how come there are cases of people developing MRSA as a result of bed bug bites? Bed bugs do not transmit MRSA. Although there have been reports of persons developing methicillin resistant Staphylococcus aureus (MRSA) infections, such as boils or abscesses associated with bed bug bites, it turns out the bed bugs really weren’t directly at fault. Rather, the cases of MRSA infections associated with bed bug bites are actually an example of scratching leading to minor skin trauma and subsequent secondary bacterial infections. In these cases, people who are carriers of MRSA scratch at the itchy bite sites and provide a port of entry for the MRSA (which was already present on their skin) to get in and under the skin and cause the secondary infection. The bed bug can be blamed for the itch, but not for the infection. Can bed bugs drive you crazy or turn you into a recluse? Some people experience anxiety, sleeplessness and unease as a result of having had bed bugs. Let’s face it, bed bug infestations are understandably significant psychosocial stressors, and some people may experience sleeplessness as they worry about bugs biting them or their family members. Not surprisingly, people have been known to self-isolate, avoiding family and friends out of concern for spreading the infestation, or (if word gets out that they have bed bugs) they may be avoided by friends or others in the community, or find they have problems at work. As a result, victims of bed bug infestations may experience moderate to severe levels of stress, anxiety and depression. In severe cases, these persons should seek counseling and treatment as required. How will I recognize a bed bug when I see one? Bed bugs have flat oval bodies, six legs, are reddish-brown in color and are similar in size to a dog tick — many have described the adults as resembling a flat apple seed. Adult bed bugs are approximately 1/4 inch long, while nymphs (juveniles) may be as small 1/16 of an inch. With feeding, they enlarge or engorge with blood. The adults turn from a brownish to reddish color, while the translucent nymphs may become bright red during the feeding process. If I don’t see bed bugs does that mean I don’t have a bed bug problem? Just because you can’t see bed bugs, does not mean that they are not still there. Bed bugs are rarely seen in the day, out in the open or on the surface of beds or chairs. They have been described as champions of hide-and-seek. So, it is not uncommon to miss the bed bugs altogether. Bed bugs love to hide in the cracks and crevices associated with mattresses, cushions, bed frames and other structures, which is why it is very important to look for telltale signs of a bed bug infestation, such as shed skins and specks of blood or feces on linens, furniture, mattresses and other areas where the bugs might be hiding. The weather is warmer and I have all kinds of insect bites — how do I know if I have bed bug bites? Bed bug bites can look a lot like other insect bites. Some clues that can suggest the presence of bed bugs include finding red, itchy bites upon awakening — especially if the bites line up in a row on the skin. Blood stains on the sheets can indicate bedbug activity. Bed bugs typically bite at night on exposed areas of skin, so the bites are most commonly found on the face, neck, hands and arms. Although some people develop a bite reaction immediately, others may take two to three days before a reaction becomes noticeable, and not all people have obvious signs of bites. A bed bug bite can appear as a tiny puncture wound without a surrounding reaction, and can easily be missed. In fact, 30 percent of individuals living in bed bug-infested dwellings report a lack of bites or skin reactions. This appears to be more common amongst the elderly. On the other hand, other people have exuberant reactions, with large, red, raised and itchy welts. This is especially true if one becomes sensitized to bed bug bites, so that with repeated bites there is an increased risk of an exaggerated reaction to bed bug bites. In infestations with persistent, repeated exposures, bed bug bites may appear in crops. Also, since bed bug bites usually take three to six weeks to heal, as long as the infestation is still present, new bites may accumulate even as the older ones start to resolve. Thus, people may have various bite reactions in various stages of evolution at the same time. Why didn’t I wake up or even notice when the bed bugs were biting me? What should I do if I have bed bug bites? Bed bug bites do not typically require treatment. It is best to clean the bite site(s) with soap and water and avoid scratching so as to prevent secondary infection. Progressive swelling, warmth, tenderness and sometimes (albeit rarely) fever may be signs of secondary infection, which should be managed with antibiotics as appropriate. Much more common are complaints of itching. For severe itching, topical steroid creams or oral antihistamines may offer relief from itching and thus decrease the risk of infecting the bite site. When it comes to controlling bed bugs, “do it yourself” should not be anyone’s motto. Bed bugs are notoriously difficult to eradicate — 76 percent of pest professionals say they are the most difficult pest to control. As such, people who suspect a bed bug infestation should turn to a company with expertise in treating these pests. The pest professional will evaluate the extent of an infestation and recommend the best course of treatment. In fact, the Centers for Disease Control and Prevention endorses that appropriate control of a bed bug infestation requires an experienced pest management professional and recommends that victims be advised against attempting to control measures themselves.